Our goal is simple. 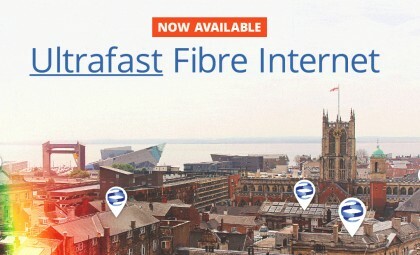 We supply fast, reliable and competitive internet to homes & businesses nationwide, even in Hull & the East Riding. 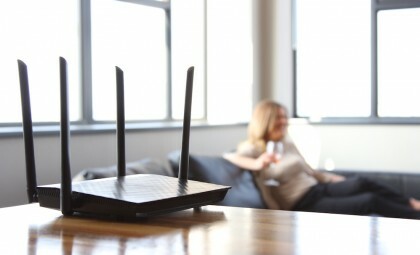 Looking for an alternative internet supplier for your home? Walk this way. We have packages from as low as £15pm to ultrafast fibre options. Power your business with ultrafast and reliable internet, designed to futureproof your business and improve efficiency. You can switch to our packages even if you’re based in Hull & the East Riding, be it for business or residential broadband. We have many packages of varying speeds & usage limits so we can match you with the package that works best for your home or business. Our support team are dedicated to helping you with any questions and are available to contact through many methods including live chat. We needed a high-end performing internet connection that matches what we do: that’s what we get with purebroadband. 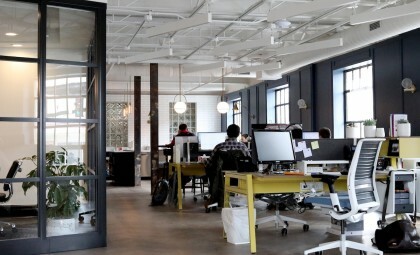 We have up to 22 people at any given time on the internet using a lot of bandwidth - we’ve had no dropout or downtime with our connection and purebroadband is the only provider that we’ve had that with. With purebroadband, we’ve increased our speed by 100x and saved £1,000 a year. We got the new line connected, tested it for a day then disconnected the old line completely and we’ve been happy ever since. purebroadband has made a massive difference to our connectivity speeds and reduced our costs. We’ve had no issues with the connectivity. So happy I finally found an alternative provider in Hull after many years feeling like I had no choice! The team have been great, from the Engineers who installed the service to the lovely ladies on the phone. I love my Netflix and haven’t had any issues at all streaming all my box sets and films. I'm also saving lots of money across the year not having to pay for a phone line. I’ve been using purebroadband for years. With the unlimited package, I know I can stream as many films as I like every month without worrying about my usage. I’d definitely recommend switching to them! At Ultra Lets we pride ourselves on being a forward-thinking letting agent and we know that the internet purebroadband provide us with is going to suit our business both now and in the future. We’re always keen to take up the newest advances in technology and we know our internet connection won’t hold us back.